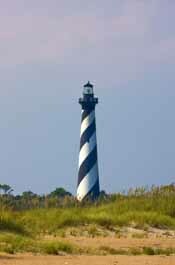 The oldest and shortest lighthouse in North Carolina is the Ocracoke Lighthouse, also the second oldest operational lighthouse in the United States. In 1942 Germany sent its U-boat submarines to the poorly guarded Eastern Seaboard of the United States. During the first half of 1942, the German subs sank more than five dozen vessels in N.C. waters. Because of this, Cape Hatteras earned the moniker “Torpedo Junction.” Burning ships, gunfire and debris washing up onshore were common sights for the locals. Ocracoke Island is only 16 miles long and ranges from a half mile to 2 miles in width. Did you know that Dare County covers more square miles of water than land? Dare County covers 800 square miles, comprising 391 square miles of land and 409 square miles of water. Author and North Carolina State professor Tim Hatcher is requesting help from locals and longtime visitors alike on telling the story of Hatteras Island life.